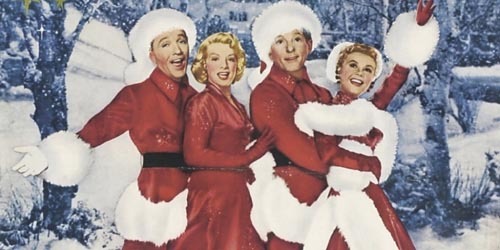 For years White Christmas would be The “go-to” Christmas Movie I would always watch the day after Thanksgiving to help get me into the Christmas spirit. And I’m lucky enough to have a sister who loves it as much as I do, and, without fail, calls me Every time it’s on, so I can watch it again and again during the holiday season. 1. White Christmas – The song for the General turns me into a puddle every time I watch it (and everytime my father says, “yeah, I can see all those families leaving their families on Christmas Eve to go support the General”. I’m thinking he may have been being snarky)…and my sister Megan and I, have more than once, serenaded the family in “Sisters”. 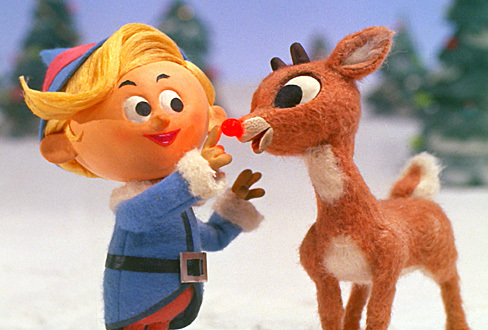 Please don’t let those 2 tidbits turn you away from watching this Christmas Classic! Bob Wallace: Miss Haynes, if you’re ever under a falling building and someone offers to pick you up and carry you to safety, don’t think, don’t pause, don’t hesitate for a moment, just spit in his eye. Betty Haynes: What did that mean? 2. 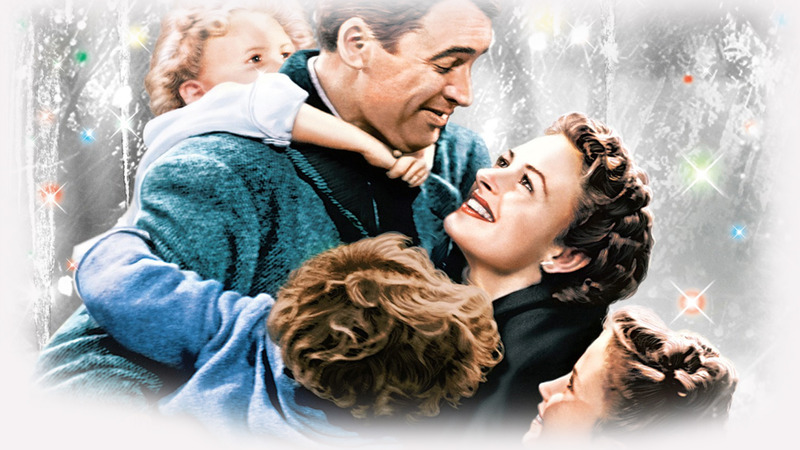 It’s a Wonderful Life – “Mr. Martini, how ’bout some more wine?” My family uses that line every holiday (and sometimes when it’s not the holidays). Clarence: You’ve been given a great gift, George: A chance to see what the world would be like without you. 3. 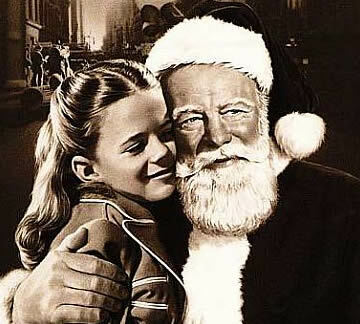 Miracle on 34th Street – Believe! And the original is far better than the remake…as they usually are. Doris: Would you please tell her that you’re not really Santa Claus, that actually is no such person? Kris Kringle: Well, I hate to disagree with you, but not only IS there such a person, but here I am to prove it. 4. 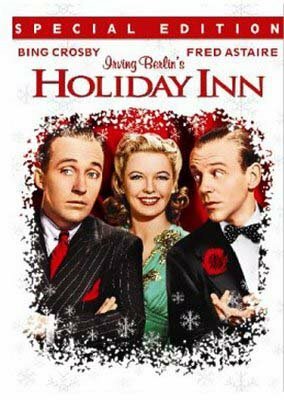 Holiday Inn – and not just because I lived in one for 2 years…It’s a great classic, wth great music. Ted Hanover: I like it here… with you and Linda. Jim Hardy: And we love having you. When are you leaving? 6. 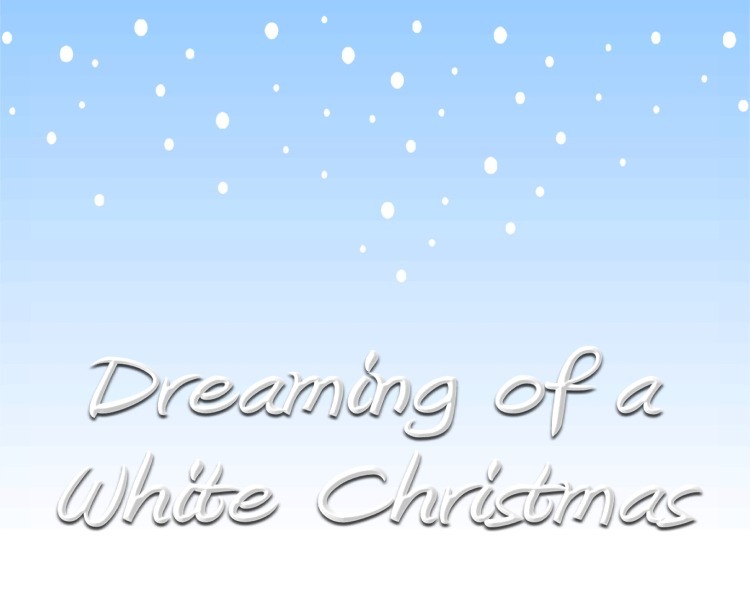 A Christmas Carol – there are hundreds of these to choose from! You can watch one a day for every holiday season for the rest of your life, and still never run out of options. Scrooged is another version of this classic. Ebenezer Scrooge: What have I done… to be abandoned like this? What? 7. 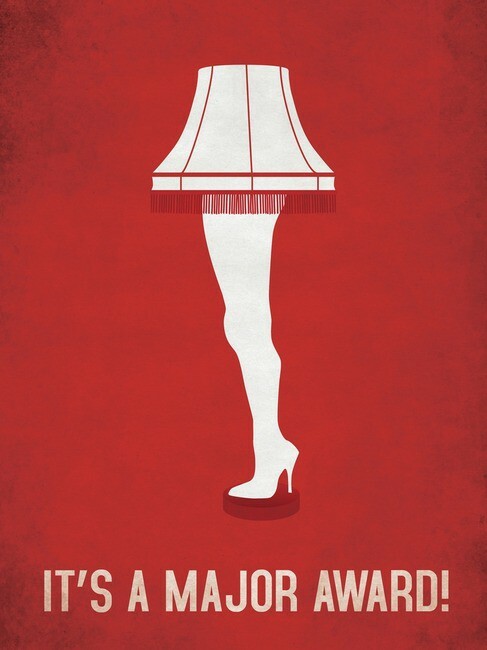 A Christmas Story – “You’ll poke your eye out”! And that Lamp belongs in every home in America…Plus, they even have a musical made after this great movie! Ralphie: I want an official Red Rider, carbine-action, two hundred shot, range model air rifle. Santa: You’ll shoot your eye out kid. 8. Elf! Truly makes me happy watching this. 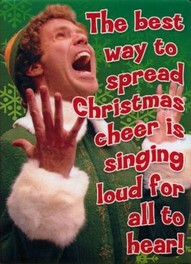 How can you not life Will Ferrell in this holiday favorite? Buddy: We elves try to stick to the four main food groups: candy, candy canes, candy corn and syrup. 9. Love Actually – and the soundtrack rocks! (Caution…not necessarily “family friendly”. I had forgotten about the raunchy parts, while Kevin, Meredith and Patrick and I watched it over Thanksgiving weekend. Awkward!). Good (make that Great) to watch without the kids! Whenever I get gloomy with the state of the world, I think about the arrivals gate at Heathrow Airport. General opinion’s starting to make out that we live in a world of hatred and greed, but I don’t see that. It seems to me that love is everywhere. Often it’s not particularly dignified or newsworthy, but it’s always there – fathers and sons, mothers and daughters, husbands and wives, boyfriends, girlfriends, old friends. When the planes hit the Twin Towers, as far as I know none of the phone calls from the people on board were messages of hate or revenge – they were all messages of love. If you look for it, I’ve got a sneaking suspicion love actually is all around. 10. While you were Sleeping: Not necessarily a “Christmas classic”, but it’s set during the holidays, and a classic romantic comedy to boot, with a christmas flair! And I guess I know what movie we will watch on Christmas!! Lucy: Do you believe in love at first sight? Nah, I betcha don’t, you’re probably too sensible for that. Or have you ever, like, seen somebody? And you knew that, if only that person really knew you, they would, well, they would of course dump the perfect model that they were with, and realize that you were the one that they wanted to, just, grow old with. Have you ever fallen in love with someone you haven’t even talked to? Have you ever been so alone you spend the night confusing a man in a coma? A “few” random acts of kindess…My friend Chrissie sent a Facebook message from an officer of the Barrington Police Department, asking for a “few random acts of kindness”. I am looking for help in a Random Act of Kindness. During work the last few weeks I have encountered a single mother with 3 little girls (age 6 and 4 year old twins). The mother is unemployed and is struggling to pay her bills (she is 2-3 months behind on most). I have been working with a few social agencies trying to help this family out but this time of year is hard and there is even less to go around .Her story is heartbreaking and Dad is not in the picture due to being in jail for domestic battery. What I am asking is if anyone could give a new toy age appropriate for a 6 year old or 4 year old that would be great! I know the girls sizes are 5T for the twins (like things bigger) and 6x-7 for the 6 yr old. 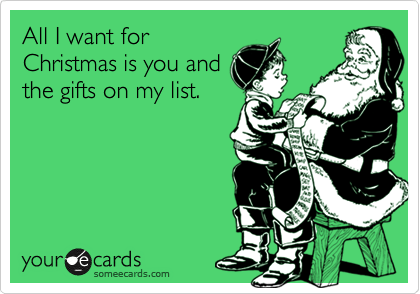 Even gift cards to Jewel/Dominicks would be fabulous. I would need to have all the items dropped off to me by Monday 12/12 so I could make arrangements with the mother and surprise her with the items before we leave on 12/21. The spirit of the season is in Full Bloom…I have seen more than 100 responses to help this mother and her children, and every person whom I asked for assistance, has stepped up to the plate and rallied with clothes, toys, food and gas cards. My friend Mickey was at a board meeting last night, and was told the family has been officially “adopted” for the holidays. I Believe this qualifies as a tad more than a “few” random acts of kindness. 🙂 I’m thinking that perhaps we don’t really need these movies to help get us in the holiday season…but just the knowledge that there are very lovely, fabulous, and extremely generous people all around us, always willing to help others and spread the spirit of the season. 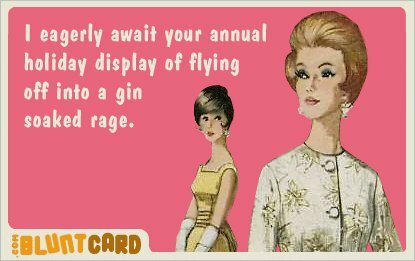 And isn’t that the true meaning of the holidays? Upcoming December Blogs: Hostess Gift Ideas; Stocking Stuffers – Part Deux; Stocking Stuffers for Men; Holiday Gift Ideas; More Holiday Gift Ideas; Apples to Apples…a great holiday gift; and Pinterest…my New obsession! 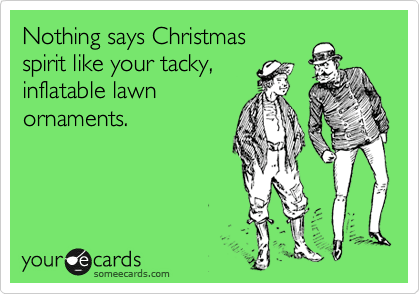 “Buddy the elf, what’s your favorite color?” I seem to recall answering the phone with that at a certain employee sponsored Christmas Party!! Great list of movies! Happy Holidays to you and yours! 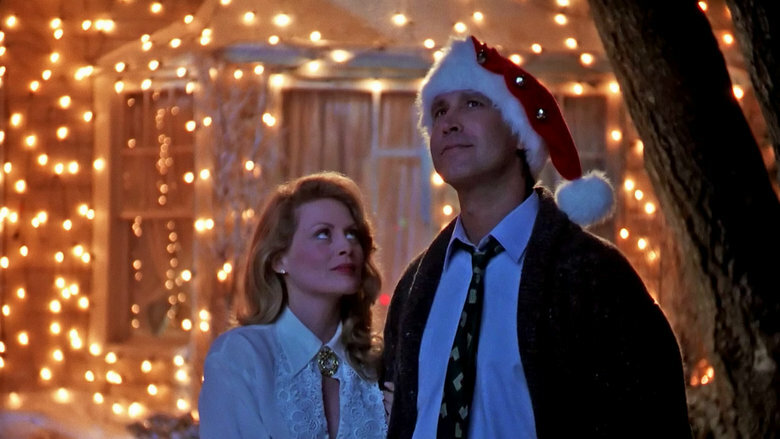 Fabulous, festive, frost-thawing movie suggestions! I am also a lover of White Christmas, and while not completely a holiday movie, an all-time fave for me is Meet Me in St. Louis. When Judy Garland sings Have Yourself a Merry Little Christmas to a weeping (somewhat annoying) Margaret O’Brien….I’m done. Phyl – I forgot about Meet ME in St. Louis…I love Judy Garland’s version of that song!!! Se ya Phyl!